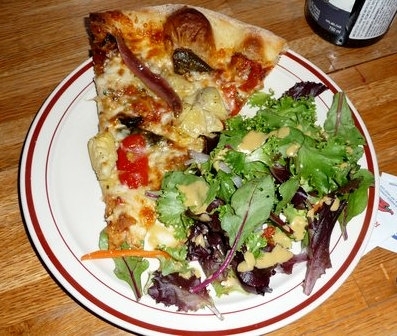 Marzano’s Pizza Pie – Explore Manzanita! Marzano’s pizza dough is made fresh daily. Our savory tomato sauce is created with quality tomato products, fresh herbs and Italian Spices. Pizzas are topped with freshly grated Mozzarella, Provolone, Parmesan and specialty imported Italian Cheeses with the freshest vegetables. Marzano’s hand-selects quality meats and takes great pride in our Marzano’s Italian Sausage, which is produced with only the freshest premium cuts of pork, seasoned with imported spices – it contains no fillers or preservatives.